Monica Mary Cerebe passed away peacefully on Wednesday morning, January 2, 2019 at Bartley Healthcare Center in Jackson, New Jersey. Monica was born at Fitkin Hospital in Neptune, New Jersey on April 11, 1942. She was the eldest of 7 children of the late Bernard P. and Bernice M. Cerebe of Spotswood, New Jersey. Monica grew up in Spotswood, New Jersey. She attended St. Joseph’s Grammar School in Keyport, New Jersey and High School in Newton, Pennsylvania. Monica received her BA in education from Seton Hall University. Monica was a dedicated school teacher. She lived in Ocean City much of her adult life and taught school for the Pleasantville Board of Education. She received a plaque in recognition of 10 and ½ years of dedicated service to the children of Pleasantville from the South Main Street School. After retiring, she moved to the Covered Bridge neighborhood of Manalapan. Monica was a devout Catholic and was devoted to the Lord Jesus Christ. She attended Mass on a regular basis and prayed the rosary daily. Reverand Calogero LaVerde (Fr. Cal) of South Jersey was her spiritual mentor for over 40 years. She was an avid horsewoman, enjoyed tending to horses and loved all things horses. Monica appreciated the fine arts. Monica like writing and wrote many stories and poems. 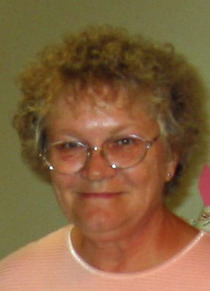 She wrote articles for the Advocate newspaper and was the editor of school newspapers for schools at which she taught. She also enjoyed painting and drawing. Monica was a member of her church choirs and the Sweet Adelines choral group in South Jersey. Monica loved the ocean. She also spent her leisure time playing bingo and taking trips to Atlantic City with her mother. Monica is survived by her brother Gerard Cerebe of Virginia, sisters Kathleen Tina Cerebe of Florida, Bernadette Harvey and husband David of Pennsylvania, Joan Marcuzzi and husband Peter of New Jersey, Mary Noble and husband Bob of New Jersey and sister-in law Kathy Cerebe of New Jersey. She was also a Godmother and has many nieces, nephews, grandnieces and grandnephews. She was predeceased by her parents Bernard P. and Bernice M. Cerebe, her brother George P. Cerebe, and niece Eileen ‘Linky’ Cerebe. A Memorial Mass will be celebrated at Saint Thomas More Parish in Manalapan, New Jersey at 10 am on Thursday, January 10, 2019. The committal will follow at St. Rose of Lima Cemetery in Freehold, New Jersey.